For years, Yahoo has been making failed attempts to bring back its appeal of the olden days -- when its businesses were burgeoning. Despite the company's efforts like its big app push, acquiring and hiring spree, "mobile first" policy and others, it was unsuccessful in making any sort of progress and also in luring the users. And its failure became all the more certain when it announced that it has sold its properties like mail services, media properties, advertising products and more importantly all its mobile apps to US telecommunications giant Verizon for $4.8 billion, as reported by the New York Times. 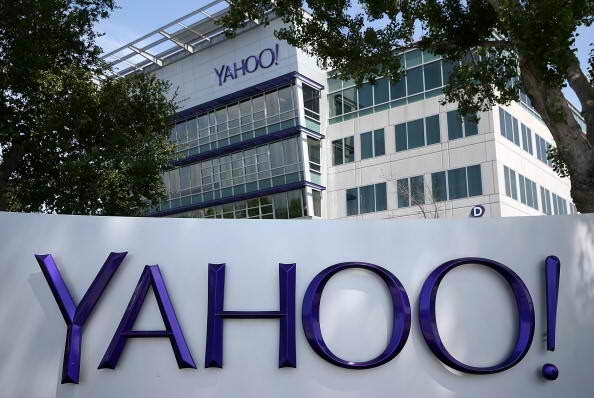 Yahoo launched apps like Yahoo Video Guide, Livetext, Yahoo News Digest, Yahoo Esports, a travel app called Radar and others in the last few years but to no avail. CEO of Yahoo, Marissa Mayer since 2012 has been insisting that Yahoo would succeed by clinging to its strengths; that is by focusing on some of its "core" businesses and by recasting its mobile business. But the latest deal suggests that it will remain now a distant dream for Mayer as the company sold most of the properties on which it was heavily relying on for future. The deal resulted in the end of an era for a company which once redefined the internet. If we look back, most successful years for Yahoo were in the 90s and its failure can be attributed to the company's inability to keep pace with the emerging trends of the day. In recent years, dozens of apps were launched or redesigned which were complete failures and were seen as old-fashioned legacy services merely redesigned for smartphones. Meanwhile, there was nothing inspiring about its new apps either, as they failed to differ from competitors in most aspects. All this resulted in Yahoo ending up building a huge portfolio of mobile apps for which there were only a few takers in the market, the New Yorker reported. The reason being its incompetence to come up with significant innovations when it came to new applications and sometimes mismanagement on its part. Take for an instance acquisition of Flickr which even predates Mayer's days as CEO. It remains one of Yahoo properties which had a great potential but was wasted. Yahoo somehow ignored Flickr after acquiring it -- considering it was more than a year after the arrival of the App Store that it launched a dedicated app, which in turn resulted in apps like Instagram becoming all rage among the youth and photographers. Its downfall can also be blamed on a multitude of missed opportunities which could have changed its fortunes. Google's Larry Page and Sergey Brin in the year 1998, when they were still students at Stanford, had approached Yahoo with an offer to buy their PageRank system for only $1 million, but Yahoo at that time was more interested in luring its users to spend more time on its platform and hence declined the offer. PageRank which was designed by Brin and Page is an algorithm that ranks websites according to the sequence in which they are shown in Google search results. The system, Larry Page, as it is called is named after its creators. And it paved the way for proper evaluation of popularity of websites. With the changing dynamics of the Internet, the third-party online advertising revenue too began to flourish. There emerged a pay-per-click service called AdWords developed by Google. Four years after being rejected, in 2002, the Google duo Brin and Page again approached Yahoo, this time attempting to raise $3 billion in funds. However, the then Chief of Yahoo Terry Semel declined the offer. Yahoo at that time was making efforts to build its own search engine in order to compete with Google. It had acquired Inktomi (a search engine) and Overture (an ad revenue maker), in order to topple Google but failed miserably. The present scenario calls for a debate whether there was some sort of scope for the revival of Yahoo under Mayer's leadership. It is clear that raison d'être for the company's failure was its inability to evolve with time. The company failed in identifying and adapting to the trends that shaped the mobile industry as it is today. While giants like Google, Microsoft and Facebook were investing heavily in artificial intelligence, virtual reality and what not, Yahoo still favored aesthetics over features and plain lines over innovation. Its downfall came due to its belief that merely refurbished web-based services made into mobile versions would be good enough to take the company in the right direction. It is debatable whether "mobile first" approach would have taken the company in a different direction or what would have happened had Yahoo accepted Google's offers in its early days. It could have been a totally different story for the company; considering Google aka Alphabet is one of the most valuable companies in the world today, with its net worth touching $500 billion. While the latest deal revealed that Yahoo's core business value was mere $4.83 billion.